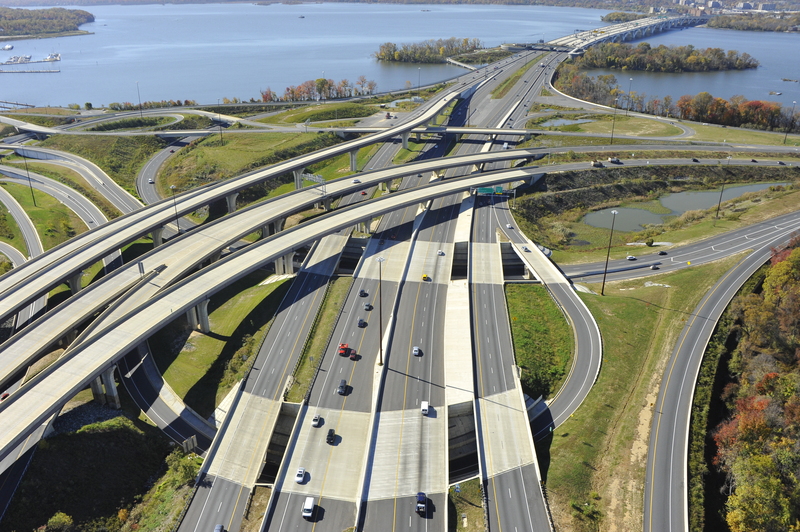 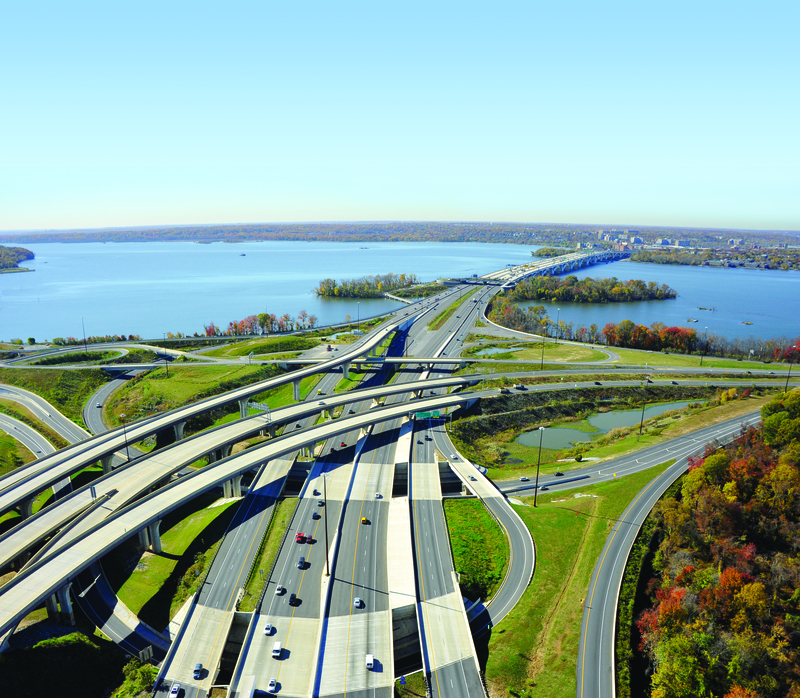 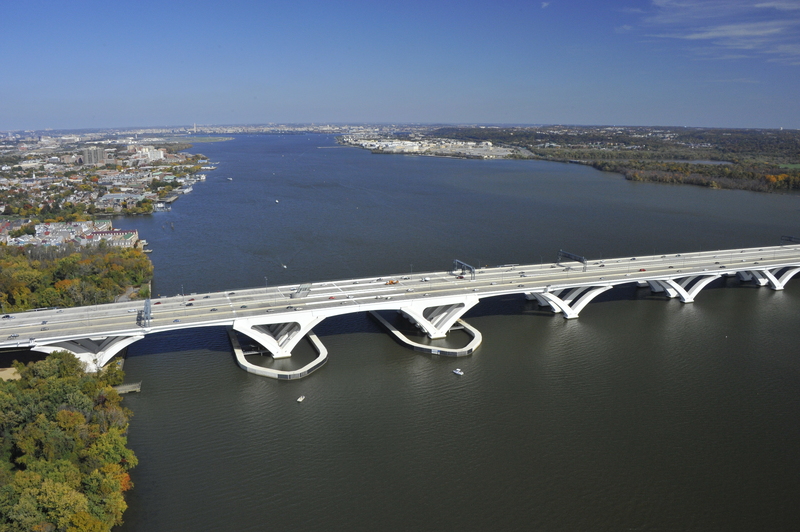 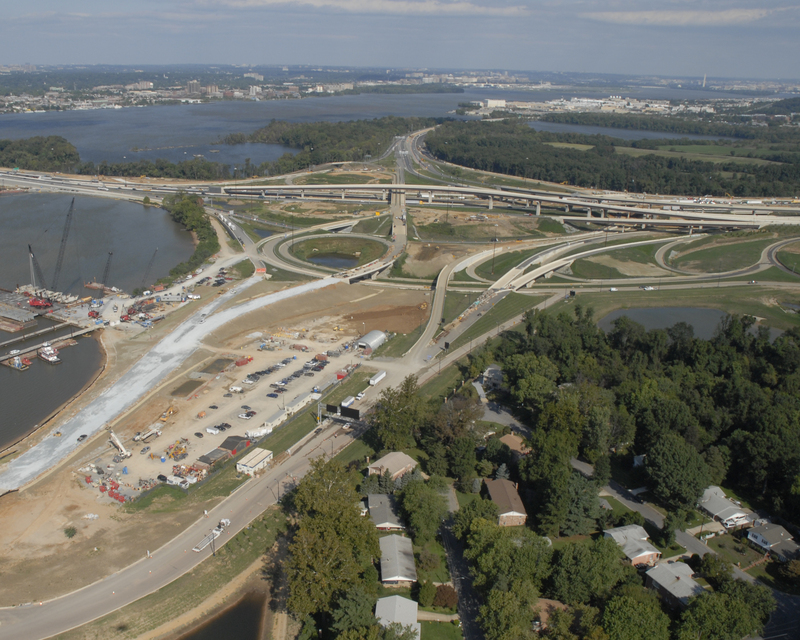 JMT led a joint venture team for a complex, major highway interchange project adjacent to the Woodrow Wilson Bridge. 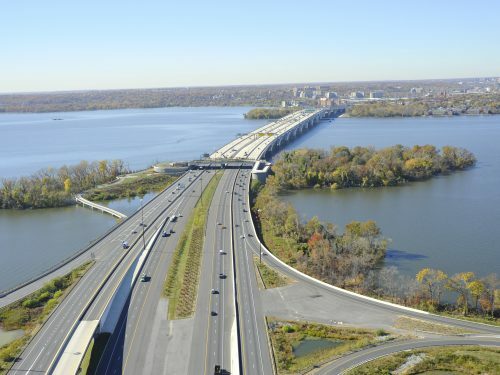 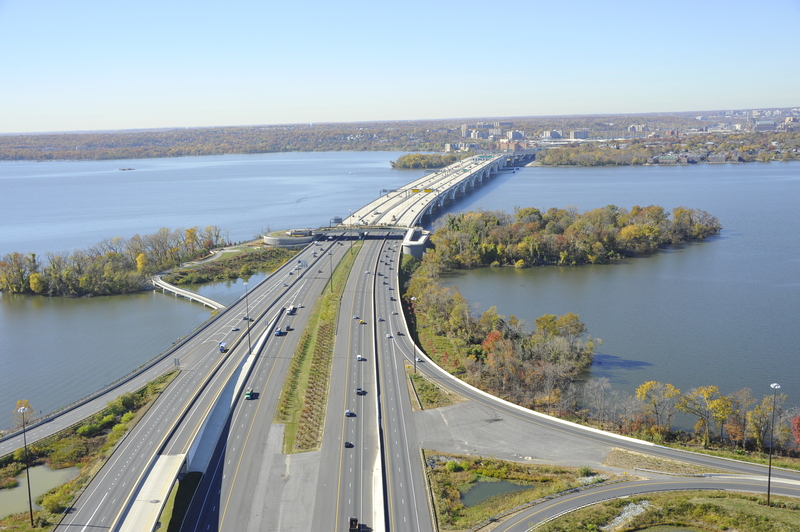 JMT, as the lead of a joint venture team, provided engineering services for the design of a new $250-million interstate interchange in conjunction with the Woodrow Wilson Memorial Bridge replacement project. 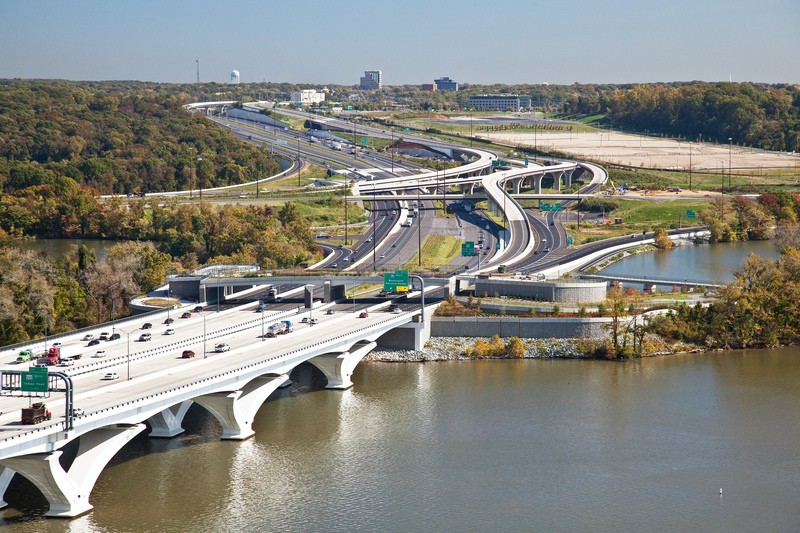 The task order type design contract had 26 distinct tasks. 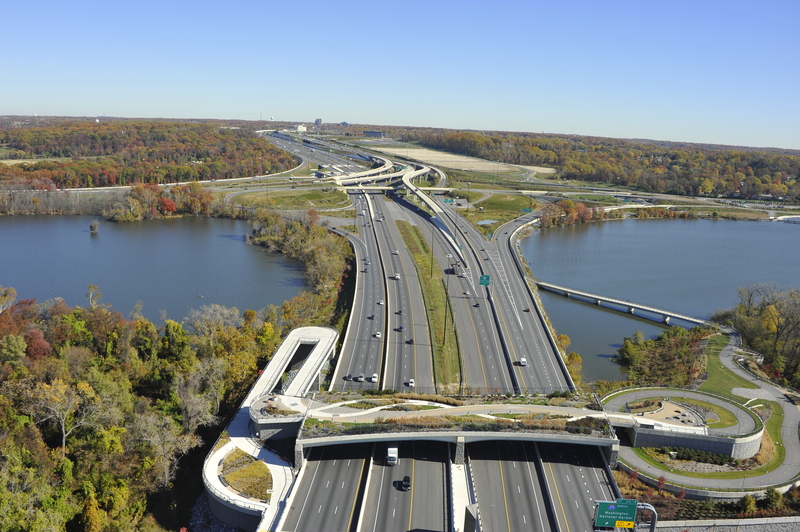 This project adjoined the $1 billion Woodrow Wilson Bridge to the west, the $1+billion development of National Harbor to the south, the I-95/MD 210 Interchange to the east, and the D.C. widening of I-295 to the north. 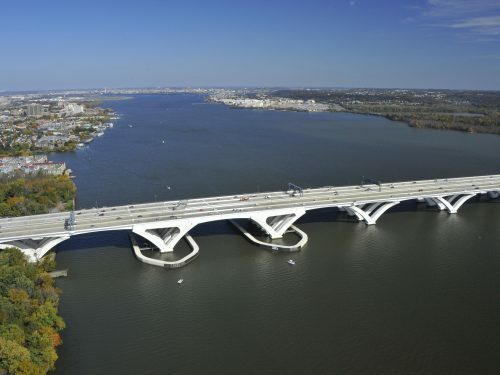 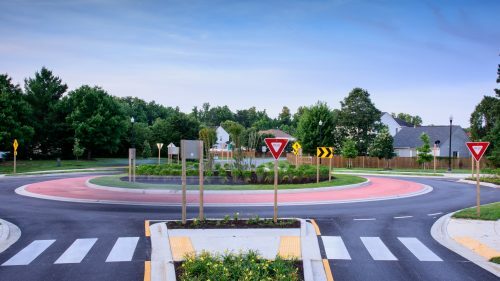 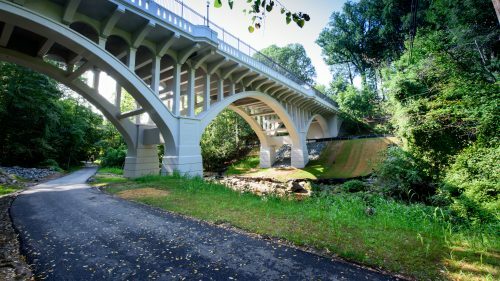 Special attention was given to the environmental and aesthetic aspects of the highway and structure designs because of the location along the Potomac River and its proximity to the nation’s capital. 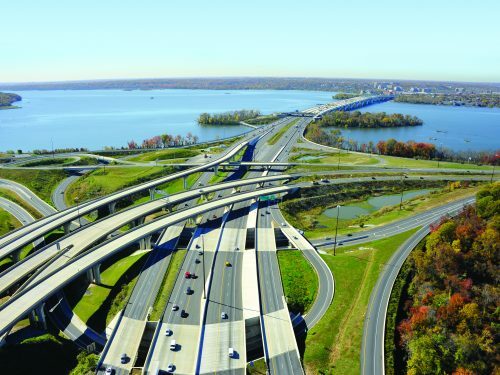 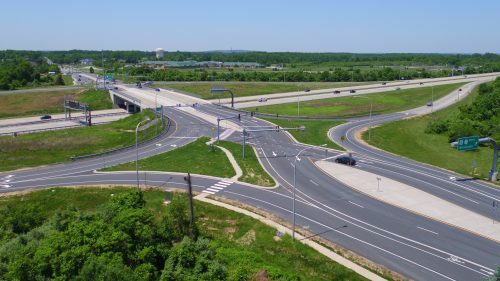 The project included the freeway widening and reconstruction of I-95/I-495 to accommodate six highway lanes in each direction in an Express/Local configuration from the Woodrow Wilson Bridge to west of MD 210. 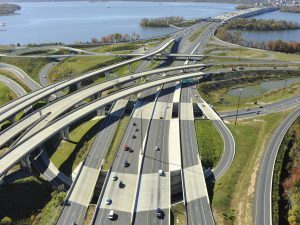 I-295 from MD 210 to the D.C. line was widened and reconstructed into a six-lane divided highway. This project was unique due to the complexity of the design and the considerations required for the development of plans for maintenance of traffic (MOT) and construction phasing to maintain an Average Daily Traffic (ADT) of nearly 200,000 vehicles per day as well as coordinating MOT between adjoining major projects. 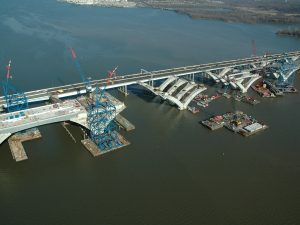 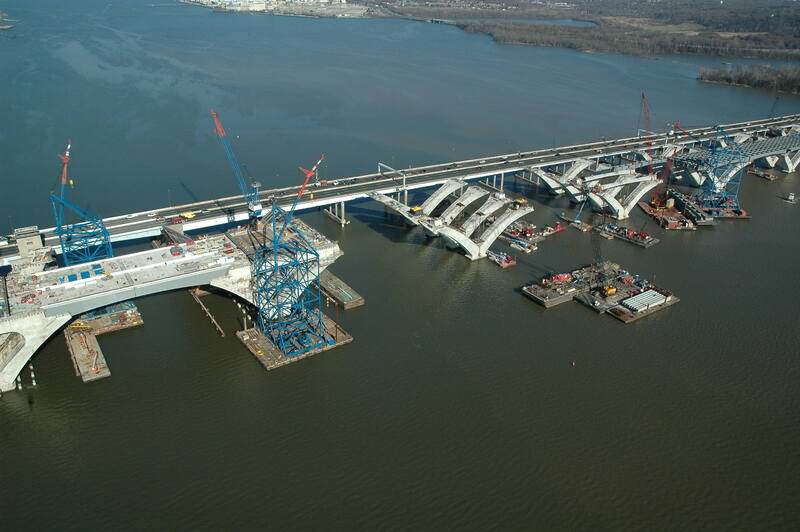 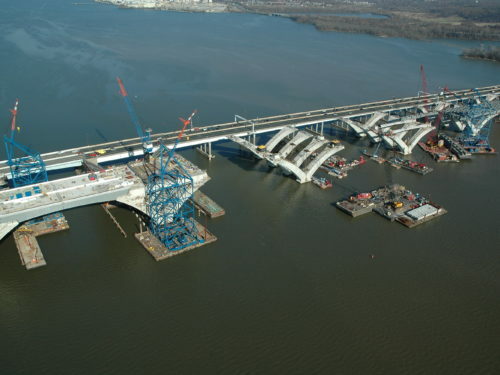 The mainline of the Capital Beltway had to be raised nearly 40 feet at the approach to the new Woodrow Wilson Bridge, while maintaining traffic. 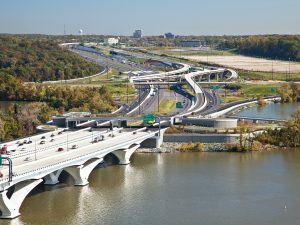 The design included highway and major bridge ramps, secondary roads, access ramps, HOV lanes, and ingress and egress ramps for HOV Lanes and Express Lanes. Three continuous multi-span curve girder bridges over 1,200 feet long were designed, two of which utilized steel integral pier caps due to limited space for piers between roadways. 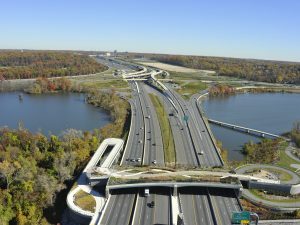 An advanced contract was advertised to pre-consolidated areas with very poor soils and expected settlements up to four feet. Two-stage MSE retaining walls were used to allow for large settlements without failure. This was the first application of this type wall in Maryland. 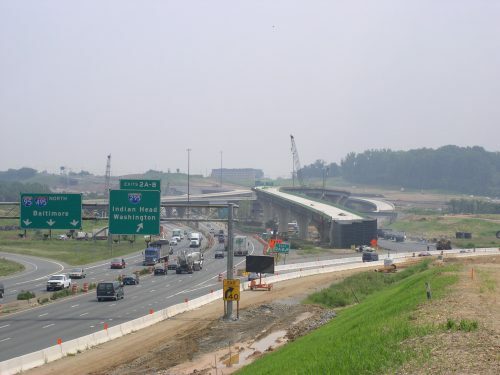 In addition, temporary retaining walls were designed to allow for phasing of MOT while changing the profile between adjacent lanes of traffic by as much as 25 feet. 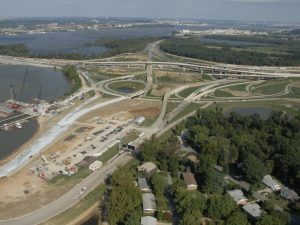 Additional services included surveying, right-of-way plats, traffic engineering, complex MOT, signing and lighting, geotechnical investigations, value engineering, environmental permits, hydrology/hydraulics, stormwater management, erosion and sediment control, on-site engineering support, landscape architecture, utility relocation, and post-award services.